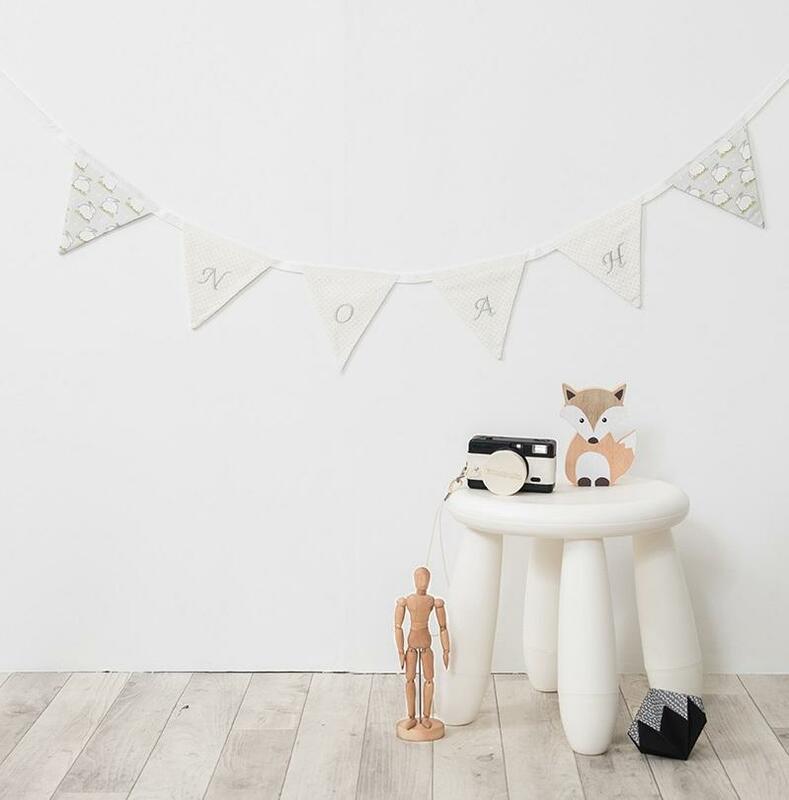 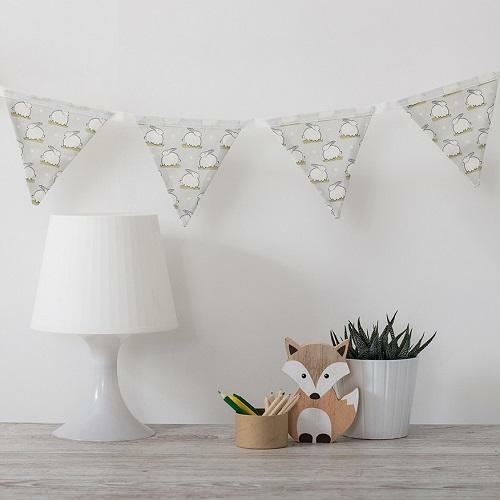 This bunting is a lovely addition to the nursery and it printed on a soft, pale grey with fresh green highlights. 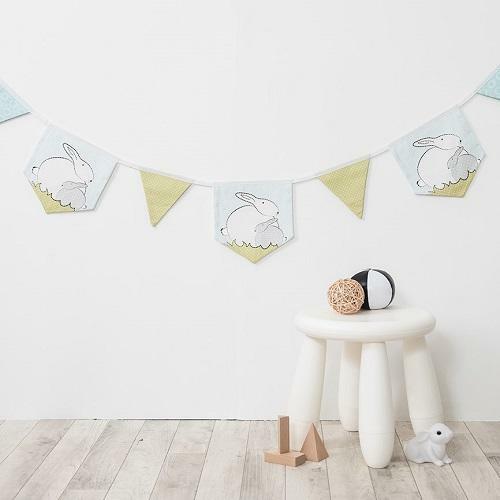 The lovely bunnies are digitally reproduced from our textile appliqué artwork, keeping the stitched details and embellishments as true as possible. 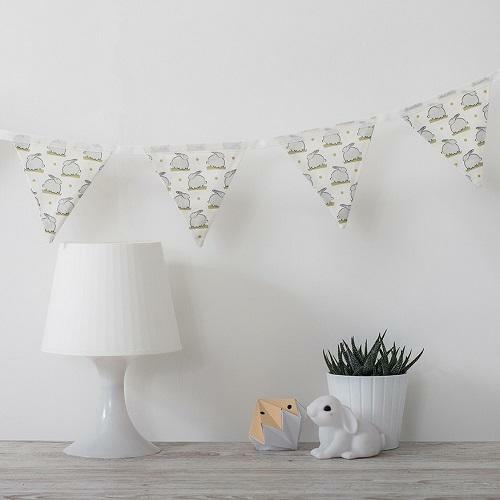 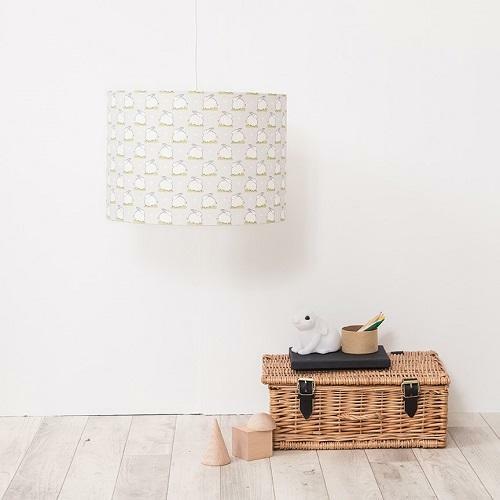 Printed onto a medium weight linen and cotton blend base cloth. 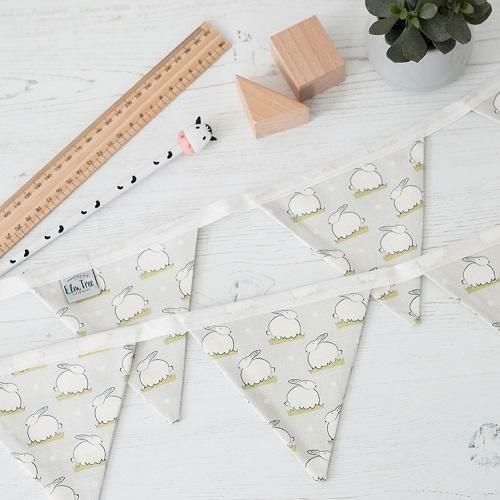 Each length of bunting has 7 flags and are double sided. 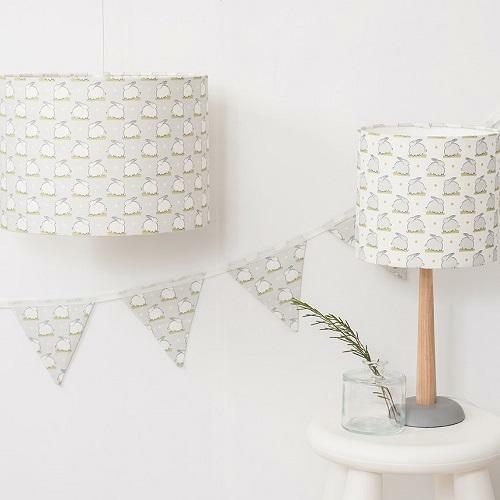 There is approx 30cm of free tape at each end for securing. 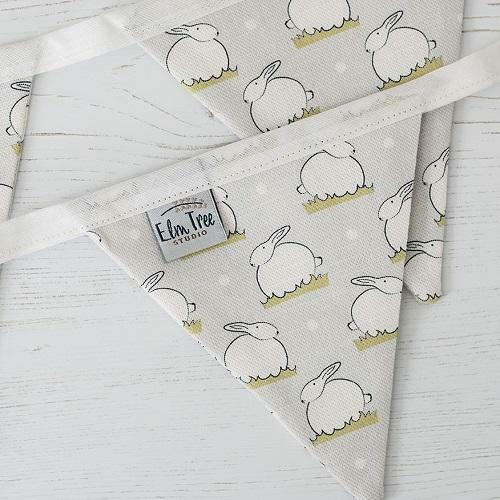 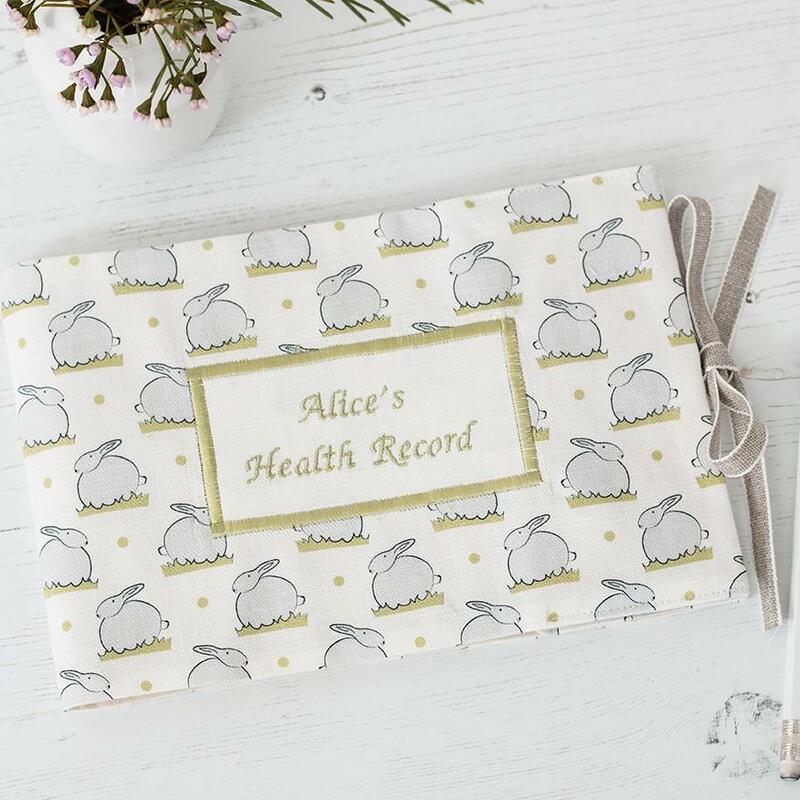 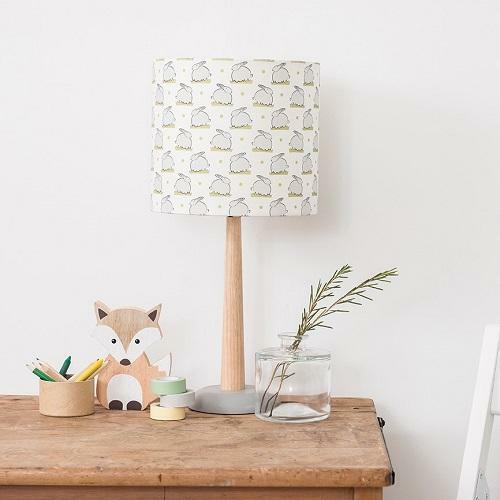 Our bunny print is part of a coordinating range of nursery accessories including, prints, bunting and soft furnishings.